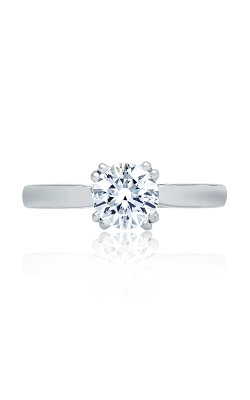 Of the many engagement ring styles that future husbands are proposing with today, solitaire diamond rings are by far the most popular. 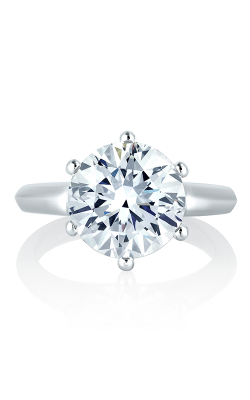 A solitaire ring has a single gemstone set into its center. While this style can be modest, large or colored stones may increase the drama. 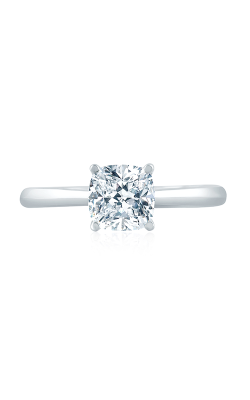 Even at higher carat weights, solitaires have a sophisticated simplicity that is unique to the style. White gold, yellow gold, platinum, and even rose gold may be used for the diamond's setting. 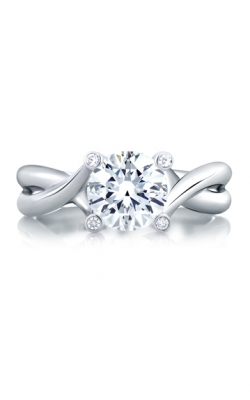 Accents like twists or tapers can add extra visual interest to the single stone. 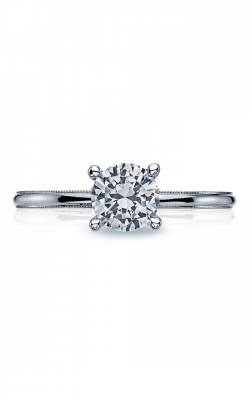 Symbolically, the solitaire diamond represents pure, unending love between a newlywed couple. 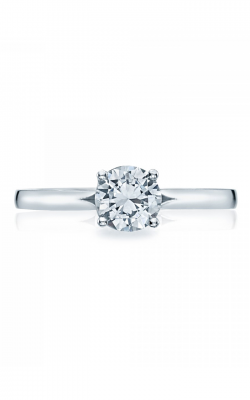 Tacori offers several engagement ring styles that allow a center stone to shine. Their crescent silhouette, which consists of interlocking arcs, decorates the inside of the band without competing with the diamond. In the Classic and Petite Crescent collections, brides find diamond-intense solitaire rings without losing signature Tacori style. Luxury bridal designer MICHAEL M prioritizes quality over quantity in solitaires. Polishing under the stone creates intense shine, and milgrain details set a popular new bridal trend. 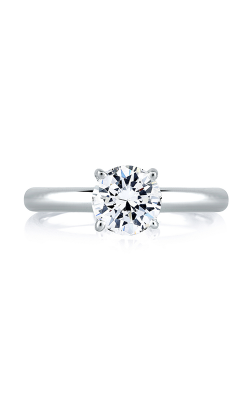 The engagement rings of the LOVE collection also have delicate details around the prongs. 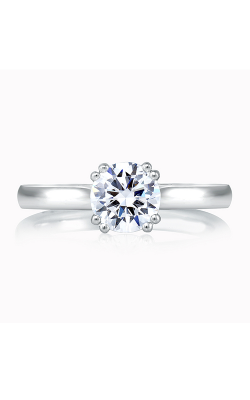 If the traditional solitaire ring is not expressive enough for your taste, consider some of these contemporary collections. 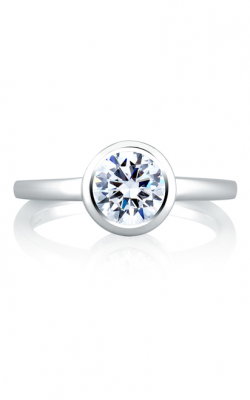 Barkev's solitaire collection provides contemporary luxury with tilted princess cuts and modern twist settings. Brides can also select two-tone settings, some of which artfully blend and fade platinum into rose gold. Mark Schneider is specifically known for clean, modern lines. Bezel- and channel-set diamonds sparkle against the wave-like curves of the settings. 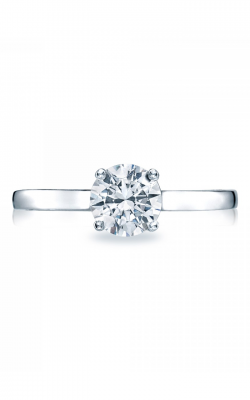 With names like Bewitch, Celestial, and Enthrall, it is obvious that Mark Schneider solitaire engagement rings are designed to captivate and inspire. 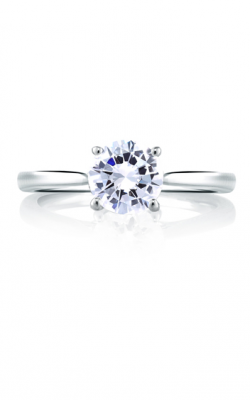 Why Shop for Solitaire Engagement Rings at BARONS Jewelers? BARONS Jewelers is located in Dublin, California. We have proudly served San Jose, Tri-Valley, and the Bay Area since 1967. 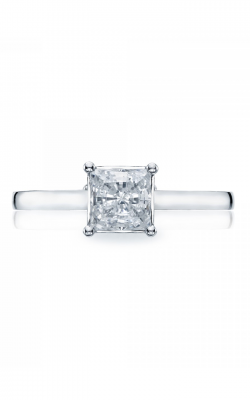 In addition to being one of the only Tacori Diamond retailers on the West Coast, we sell top wedding band, engagement ring, timepiece, and fashion jewelry designers. Our family-owned and operated location in the Hacienda Crossings Shopping Center carries one of the largest fine jewelry selections in California. For more information on our products and services, feel free to browse our website, call us at (925) 278.6971, or email info@baronsjewelers.com.